Most of our Spring Summer 2017 clothing has now arrived at Apache. But there’s an extra treat for you loyal customers — a special “high summer” collection by Lyle and Scott! 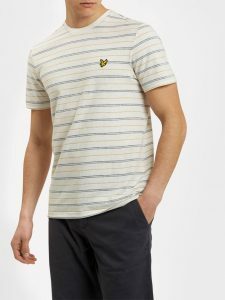 We’ve picked out four highlights from this year’s Lyle and Scott summer batch, including two summer-weight polo shirts, a thin navy jumper, and a seasonal-pattern T Shirt. Use the exclusive discount code HIGHSS17 for 10% off all new high season arrivals from Lyle and Scott, via our online store. You might not think of a jumper as being part of a traditional summer wardrobe — but this lightweight knitwear is perfect for those milder mornings and evenings. A bestseller at Apache last year, this revamped-for-2017 garment boasts a highly breathable cotton-linen mix fabric. Match it with a pair of shorts and a T shirt for a great mild-weather outfit. Truly a great addition to the most basic of wardrobes. 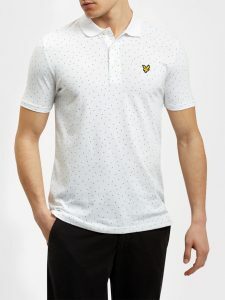 This Lyle and Scott summer arrival might be our most lightweight polo shirt so far. Available in three colours — Washed Grey (pictured), Navy and White — the button-down garment is distinguished by its classic self-coloured “poplin” collar and a smart 4-button placket. The jersey cotton is remarkably soft and comfortable, and will keep you cool during hot summer afternoons. A smarter polo than most, it is at home with a pair of tailored shorts, or even for casual events. A magnificent seasonal pattern adorns this classic pique cotton polo shirt. The micro dots make this garment stand out from the crowd up close and at a distance — and there’s also a Navy with white dots version. The simple collar is a tried and trusted design on many a polo shirt. 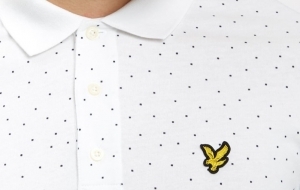 This special “micro dotted” pattern is also available on a Lyle and Scott summer T Shirt in Navy and White. A great addition for playing golf, or a nice day out with the family. 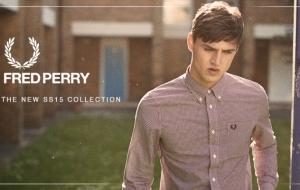 Lyle and Scott specialise in classic styles, but they are not afraid to innovate with their designs. This T Shirt is a prime example — they have cleverly turned the fabric inside-out and used the reverse side for a softer feel. The colours are well chosen — gold, khaki and navy pick stitch stripes on an off-white marl background. The Navy version uses different stripe colours, but the overall impression is just as striking. Browse our full range of SS17 T Shirts here. 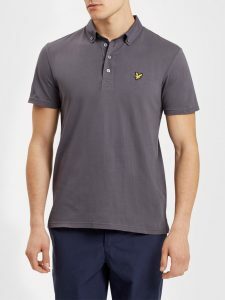 That’s our round-up of Lyle and Scott’s best high summer arrivals at Apache. 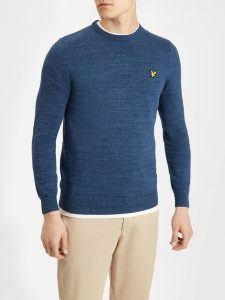 Use the offer code HIGHSS17 at the checkout for a fantastic 10% off all Lyle and Scott menswear! NextWin – Farah Goodie Bag Giveaway!